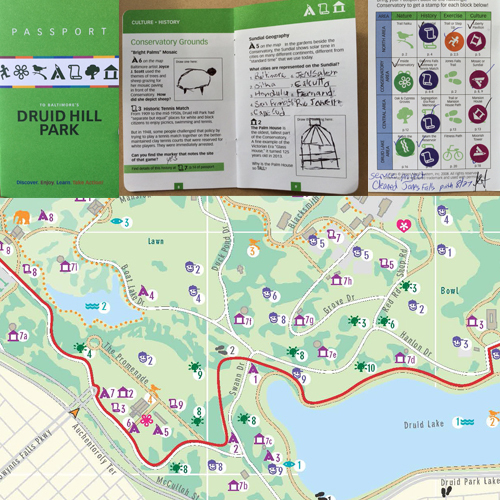 This blog was created by Green Mapmaker Juna Papagorji, who is now at University of Florida, Department of Urban and Regional Planning. 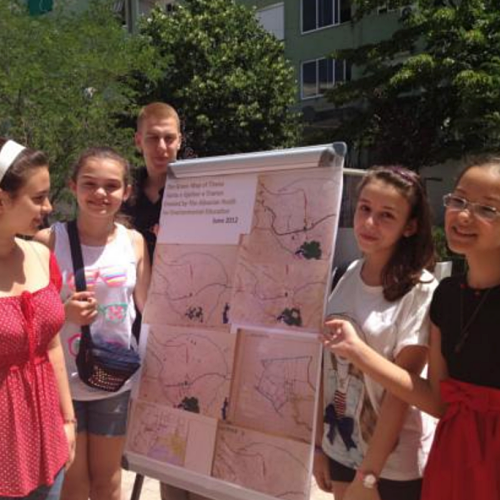 Students of the school "Deshmoret e Lirise" prepared the first Green Map for Tirana, the capital of Albania. 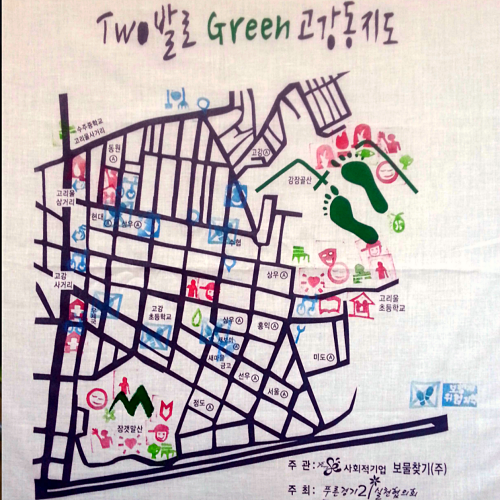 They created a Green Map showing the present locations of green resources, and a Future Green Map capturing their proposal for new green resources. They composed the maps using paper and crayons, and afterwards used ArcGIS Explorer to transfer those maps into a Geographic Information System. At the end, they wrote a letter to the Mayor of Tirana, asking for their work to be published on the web site of the Municipality of Tirana. We are writing this letter to ask for your consideration of our request towards raising public awareness for the citizens of Tirana regarding the protection of the environment. During the past week (26 – 29 June), we the students of the public school “DËSHMORËT E LIRISË,” learned about the computer program ArcGIS Explorer. 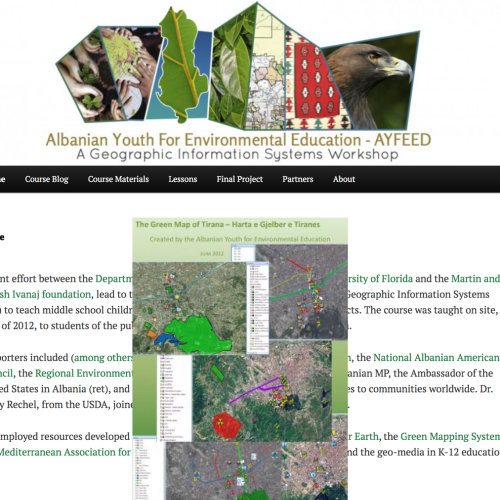 This program helped us develop the first Green Map for Tirana as shown in the inclusion. It is our desire that you also publish our maps in the web site of the Municipality of Tirana. These maps show Tirana in the present, and our proposal for Tirana in the future. List of students: Alesia Marku, Ani Kristo, Ebi Kristo, Ester Arapi, Fjona Kopani, Fulvio Papadhopulli, Glen Maranaku, Johan Muka, Kati Laska, Keni Mihaj, Ketrina Pashaj, Klarenc Hajderlli, Kliti Gramozi, Megi Afezolli, Oliger Cibaku, Rei Selimaj, Uendi Reka. Ju shkruajme kete leter per t’ju kerkuar te merrni ne konsiderate kerkesen tone per te sensibilizuar opinionin publik te qytetareve te Tiranes per ceshtjen e mbrojtjes se ambientit. Deshira jone eshte qe ju t’I publikoni keto link-e ne faqen zyrtare te Bashkise se Tiranes.Keto harta prezantojne Tiranen e sotme dhe ate te se ardhmes. Alesia Marku, Ani Kristo, Ebi Kristo, Ester Arapi, Fjona Kopani, Fulvio Papadhopulli, Glen Maranaku, Johan Muka, Kati Laska, Keni Mihaj, Ketrina Pashaj, Klarenc Hajderlli, Kliti Gramozi, Megi Afezolli, Oliger Cibaku, Rei Selimaj, Uendi Reka. Me respekt ,nxenesit e shkolles 9-vjecare publike :“DESHMORET E LIRISE”.